I understand I am in France now, and I was last in Israel but I am still catching up on blogging about Poland! Despite calling mysef a linguist, I found it particuarly difficult to grasp the Polish language during the 3 weeks that I was there. I specialise in Romance languages, not Slavonic. And the sounds and letters that Polish use are completely alien to me. I did try, but I didn’t get very far. It’s a beautiful language, very softly spoken, but the way that it is written down sounds absolutely NOTHING like how it is pronounced. This made reading from a phrase-book all the more challenging as I had no idea how on earth you were supposed to pronounce the words! The Polish people I met are very aware of this and are understanding that it is indeed a challenging language, but of course, trying outsaying ‘please’ and ‘thank you’ in Polish can go a long way. Before I even arrived I had this issue. 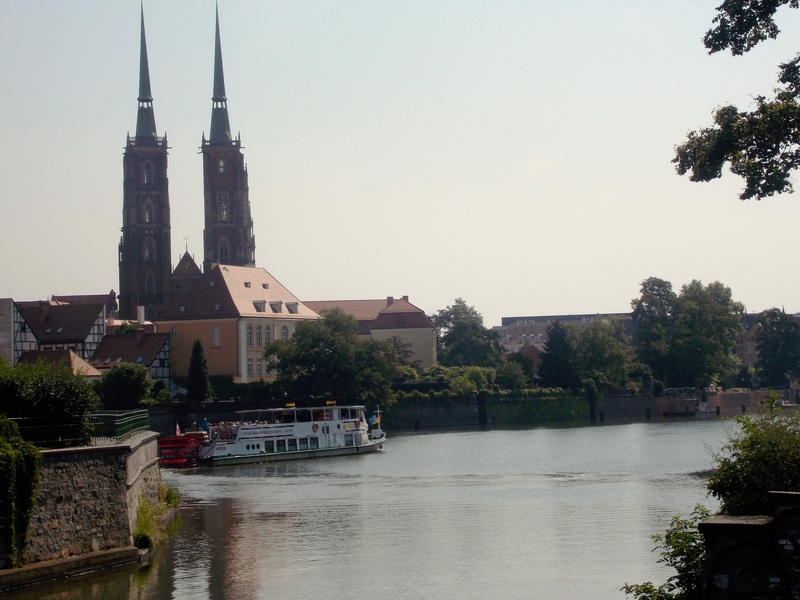 I was flying to, and spending several days in the city of ‘Wrocław.’ I, along with many other English-speaking people would pronounce this as, well, ‘Wroclaw.’ But, no, no… it isn’t that simple. 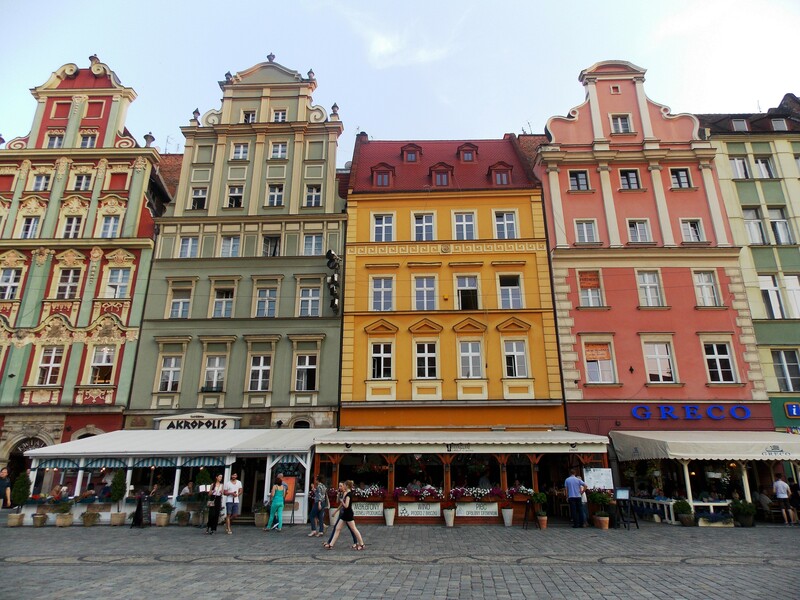 In fact, ‘Wroclaw’ is pronounced something like ‘Vhrats-wahv.’ It feels quite good now to not be ignorant and actually be able to pronounce it correctly when I am talking about it. Despite Wrocław being a bit of a pain to pronounce at first, it is in fact a beautiful city. 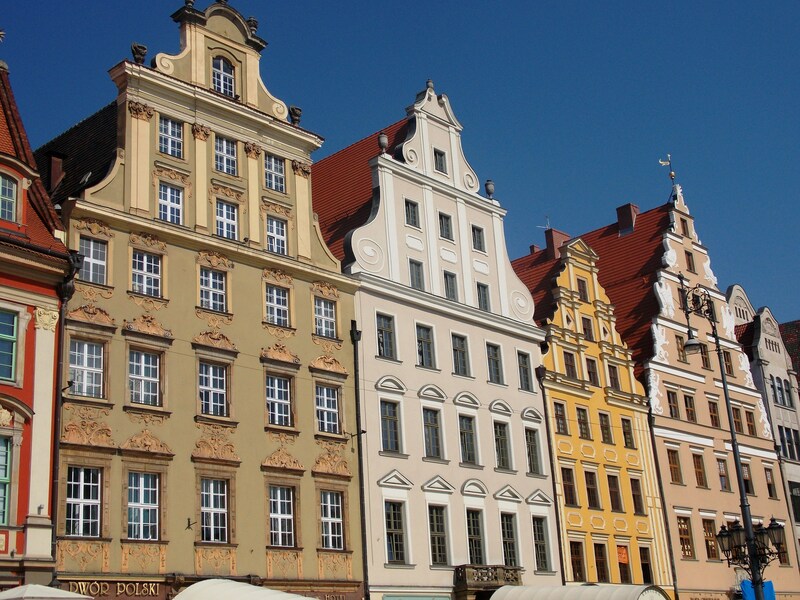 Situated in the SW of Poland, it’s one of the warmest cities in the country! It’s Rynek (market square) and Town Hall are absolutely stunning. Each building is unique and has it’s own style, colour and design. You can just sit there and admire them for hours. I wish I had spent more time here and would not say no to returning in the future. 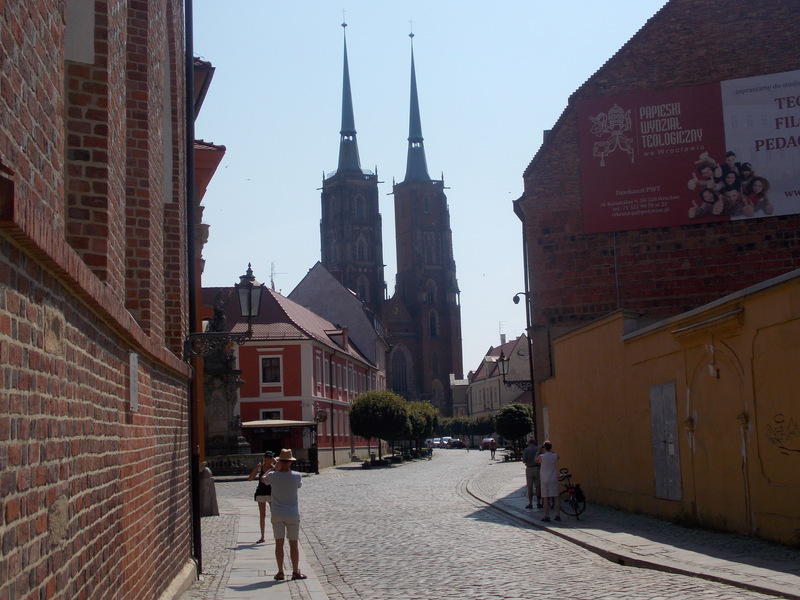 My favourite place though was Ostrów Tumski (Cathedral Island), one of the oldest parts of the city. Standing on Piaskowy Bridge (Sand Bridge), looking over at the cathedral with its two towers in the distance beyond the water, was simply stunning. Yet, I don’t think that the picture gives it justice. 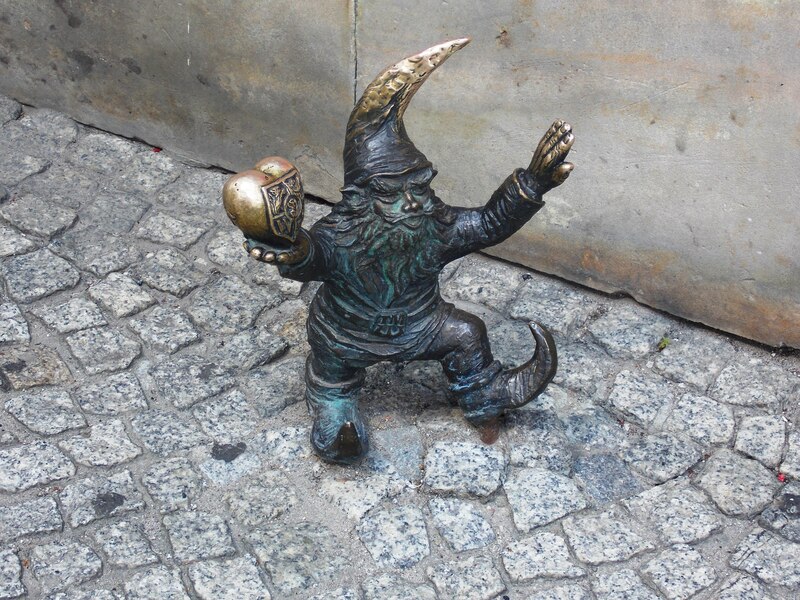 Another charming cultural factor about this city is that it has been infiltrated by gnomes (seriously!). There are hundreds of them all over the city, many businesses have their own outside shops too. They are everywhere, but you probably won’t spot them unless you are looking for them. 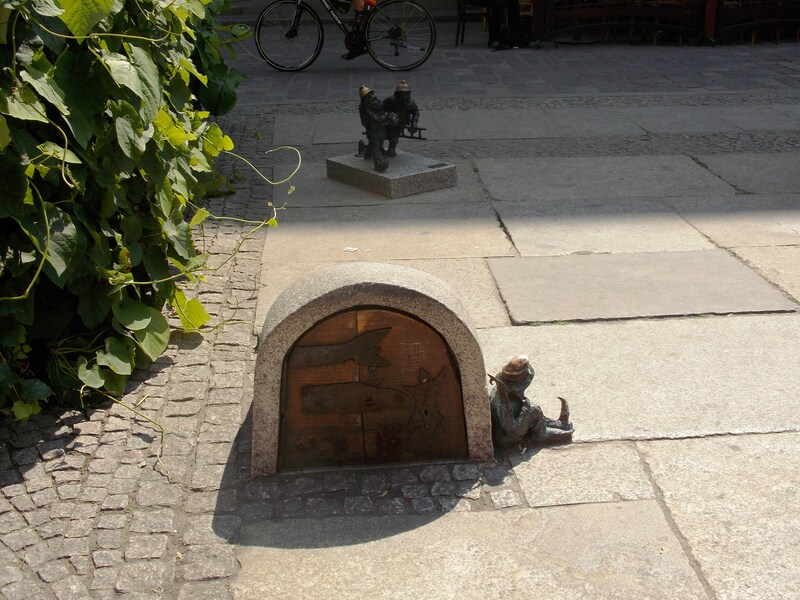 You can even go ‘gnome spotting’ around the city. Although this is all fun and games, they are actually iconic as symbols of Wrocław, because they have a direct link to the political situation of the 1980s. Under communism, the ‘Orange Alternative’ movement (an underground protest movement) used ‘gnomes’ as an excuse to stage absurd, crazy, yet peaceful protests. Kocham Polskę (I love Poland)! Have you visited anywhere in Poland, what did you think and how did you find the language? ← The Year Abroad Has Started!